Israelis, including President Reuven Rivlin and attorney general, voiced opposition to the earlier draft of the bill. Israelis opposed to the bill, deeming it discriminatory, took to the streets to protest in large numbers on Saturday in Tel Aviv. Israel’s 1948 declaration of independence defined its nature as a Jewish and democratic state, a delicate balance the country has grappled to maintain for 70 years. Opponents of the new bill say it marginalizes the country’s Arab minority of around 20 per cent and also downgrades the Arabic language from official to “special” standing. The law passed with a 62-55 backing, with two members of the Knesset abstaining. The legislation, defined as a “basic law,” granting it quasi-constitutional status, will likely face a challenge at the Supreme Court. Lawmakers took turns to passionately express their views in a rowdy, hours-long debate in parliament overnight. Ayman Odeh, the head of the Arab Joint List, pulled out a black flag and waved it during his speech, warning of the implications of the law. Benny Begin, son of former Israeli Prime Minister Menachem Begin, the founder of Netanyahu’s ruling Likud party, abstained from voting, warning of the party’s growing disconnect from human rights. 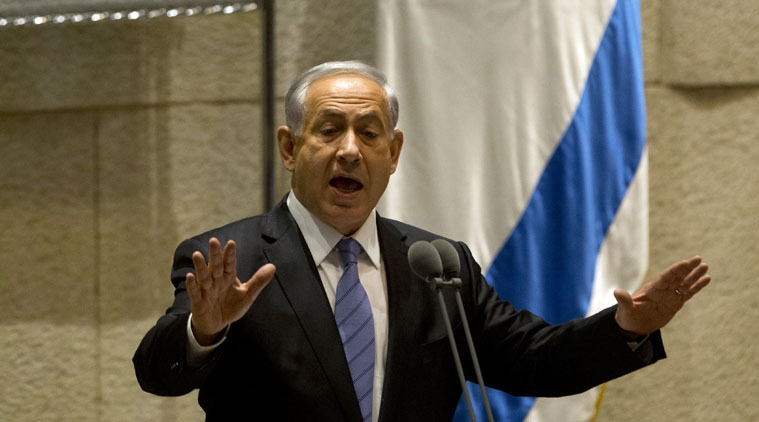 “This is not a decision I expected from the Likud leadership,” he said. Eugene Kontorovich, international law director at the Kohelet Policy Forum, a conservative Jerusalem think tank, defended the bill, arguing it “is similar to provisions in many Western democratic constitutions, which provide for an official language and national character that reflects the majority of the population.” Kontorovich dismissed the “faux outrage” against the bill as “simply another attempt to single-out the Jewish state and hold her to a double standard.” American Jewish organizations also expressed their disapproval of the law. Lawmakers had removed the most contentious clause of the bill on Sunday which would have allowed the establishment of “separate communities” and which critics had called racist.